Be ready to serve the next customer with the Playmobil Kebab Vendor. With some fresh meat cut up, and a basket full of lettuce to go with it, this is the perfect meal. 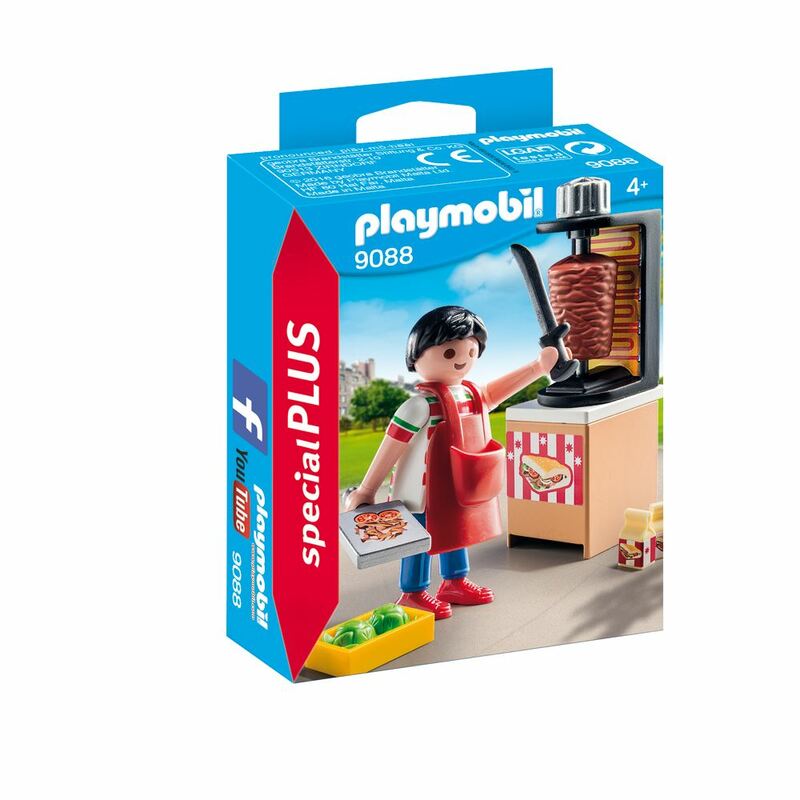 Includes: a figure, meat cooker and accessories. Part of the Special Plus Range. Age 4+ years. Distributed in New Zealand by Holdson.